Living a long and happy life is something we all strive.There are already people who live more than 100 years. Azerbaijan’s oldest citizen in 2019 has been named. After verification in the southern region of the country, scientists of the Academy of Sciences found that the oldest citizen of the country is a resident of Sutemurdov village, Lankaran. The information was cited by the head of Institute of Physiology under the National Academy of Sciences, Ulduz Gashimova. In most cases the actual age does not coincide with the age specified in the documents. Thus, information about the oldest person, disseminated with reference to their documents, does not have a scientific basis. For this reason, long-livers, are first required to verify their age. 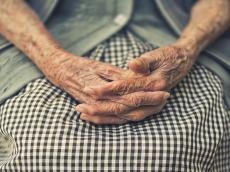 Notably, the 108-year-old Vesme Mammadova, a resident of the Garmatuk village in Lankaran region passed away in 2018. Vesma Mammadova’s mother and sister also lived more that 90 years. One of Azerbaijan’s centenarians was Shirali Muslimov, shepherd, who lived 169 years, establishing an unprecedented record in the history of longevity. Muslimov's soviet passport stated that he was born on March 26, 1805.